Universities need tranquility and freedom to thrive just as the Church needs these conditions to teach its doctrine and form its children without prohibitions. 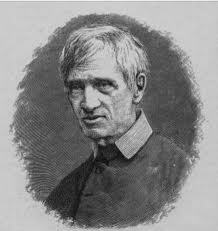 Newman told the Irishmen for whom he wrote that they enjoyed those circumstances. The university of his time did not need a Charlemagne but as in all times it required well-known professors. In ancient Athens and Rome, the desire for learning made a path for itself independent of the government. In Athens youth sought Protagoras for his learning. He seemed to bewitch them. One of these youths was the son of Pericles. At the same time others sought Hippias to ask him questions about physics and astronomy. In Rome, the Senate passed decrees to expel philosophers and rhetoricians who were gaining the attention of youth. It was feared the youth would lose their interest in the military profession. This was the climate when three philosophers, Diogenes the Stoic, Carneades the Academic, and Critolaus the Peripatetic went to Rome from Athens on a political embassy. They lengthened their stay and gave lectures. Newman writes: “”Those among the youth,” says Plutarch, “who had a taste for literature went to them, and became their constant and enthusiastic hearers. Especially, the graceful eloquence of Carneades, which had a reputation equal to its talent, secured large and favourable audiences, and was noised about the city.” Cato feared this was a danger for youth and had the three philosophers expelled from Rome. Although the government was successful for the moment, ultimately the cause of education won and schools were gradually founded in Rome; first of grammar, then rhetoric, mathematics, philosophy and medicine. At last the Emperors established the Roman University, today called Sapienza. He also concludes that supply creates a demand. Professors create a demand. In Ireland, as in other places, good teachers will create a demand among Irish Catholics. For Newman good professors will meet the students’ desires for knowledge.